The Istanbul derby went down to the final minutes before Fenerbahce Ulker Istanbul edged Anadolu Efes Istanbul 63-71 on the road on Friday. Fenerbahce registered its third win in the last four games to improve to 3-4 in Group E, while Efes dropped to 2-5. 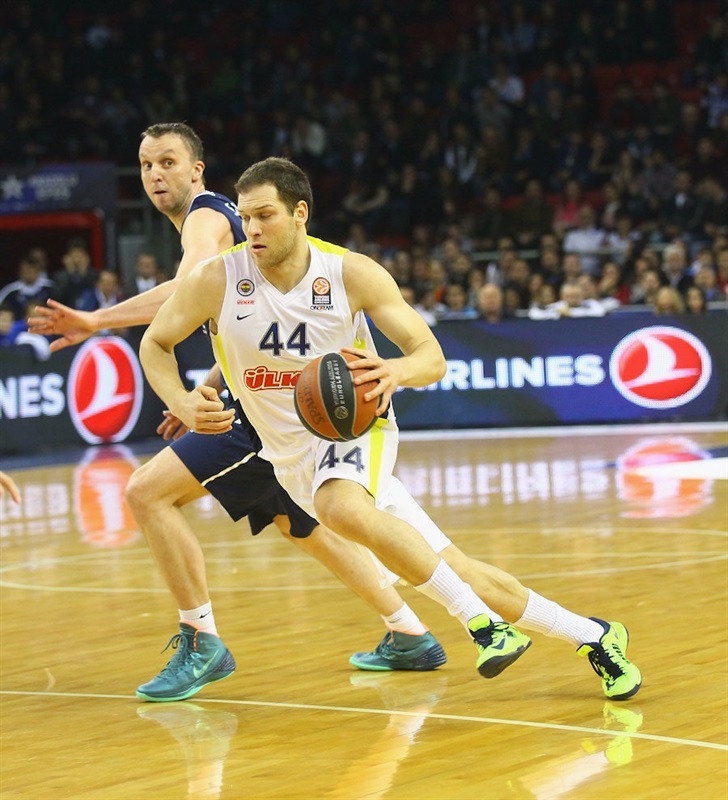 Bojan Bogdanovic paced the winners with 17 points. 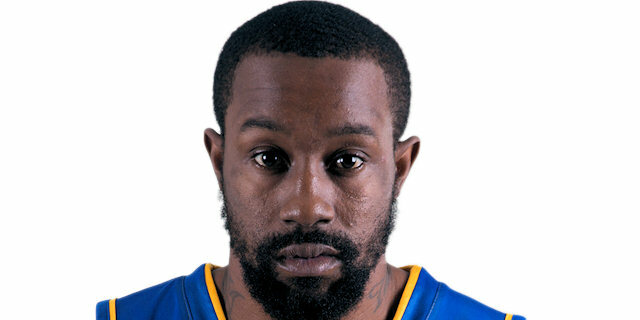 Linas Kleiza added 16 while Bo McCalebb had 13 for Fenerbahce. 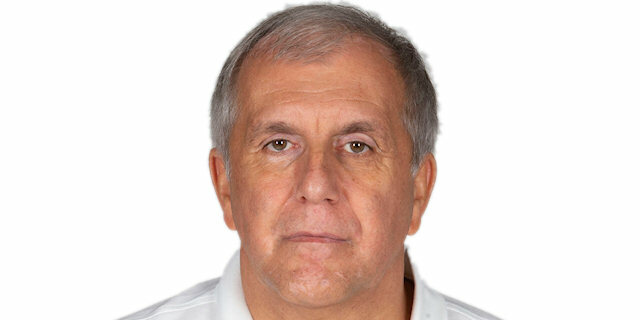 Dusko Savanovic led Efes with 15 points. 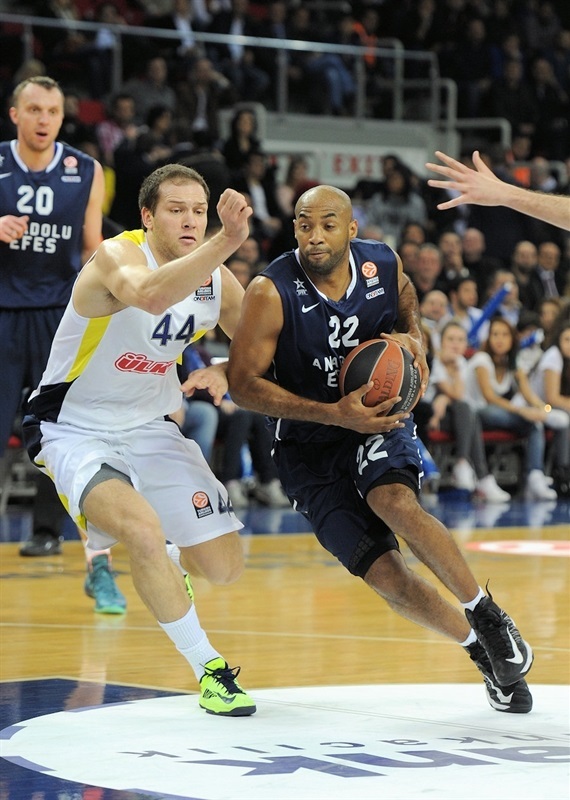 Jamon Gordon added 13 and 8 assists, Milko Bjelica had 11 points and Kostas Vasileiadis 10 for the guests. Gordon and back-to-back three-pointers by an outstanding Savanovic allowed Efes to get an early 18-9 lead. Luka Zoric, Emir Preldzic and McCalebb helped Fenerbahce tie the game at 24-24 after 10 minutes. Kleiza took over midway through the second quarter to give the guests a 33-39 lead. Vasileiadis struck twice from downtown, but Bogdanovic restored a 39-41 Fenerbahce edge at halftime. Bogdanovic and a three-pointer by Melih Mahmutoglu gave Fenerbahce a 53-54 lead after three quarters. Kleiza took over early in the fourth quarter, as Fenerbahce boosted its margin to 57-66 with over three minutes left and never looked back. Kerem Gonlum got Efes going with a fast break layup that Bogdanovic bettered with a three-point play for a 2-3 Fenerbahce lead. Dogis Balbay ignited the crowd with a big slam in transition and a backdoor layup by Gordon gave Efes a 6-3 edge. McCalebb scored off a steal, but Gonlum scored down low and Dusko Savanovic hit a baseline jumper. Nemanja Bjelica shined with a big basket in the low post that Balbay matched with a layup for a 12-7 score. Savanovic struck from downtown and bettered Bjelica's driving layup with another three-pointer, good for an 18-9 Efes margin. Preldzic followed a five-meter jumper with a layup and even after Gordon scored again, a three-point play by McCalebb brought Fenerbahce within 20-16. Zoric made free throws, igniting a 0-6 run which Omer Onan capped with a fast break layup that put Fenerbahce back ahead, 21-22. A free throw by Semih Erden, a reverse layup by Zoric and a jumper by Zoran Planinic fixed the score at 24-24 after 10 minutes. Gordon banked in a running jumper early in the second quarter. 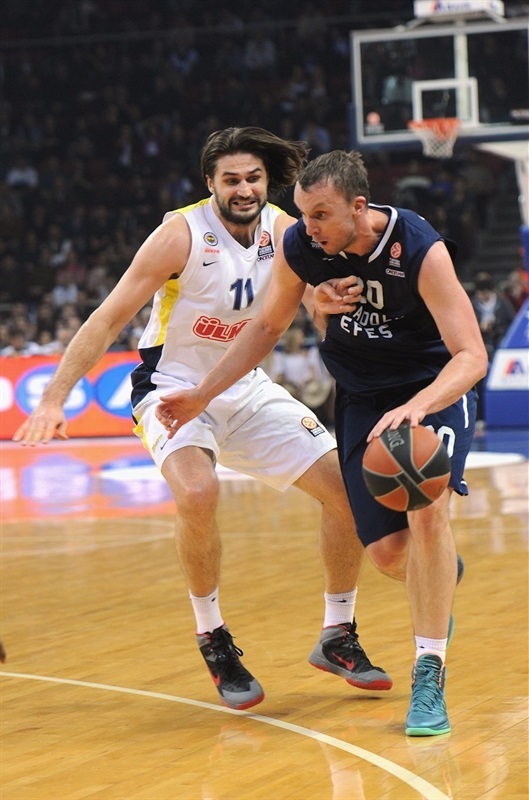 Zoric swished a close shot that Milko Bjelica bettered with a three-pointer to put Efes back ahead, 29-26. Bogdanovic took over with a dunk which McCalebb followed with another slam off the baseline for a 29-30 Fenerbahce edge. Milko Bjelica sank a mid-range jumper, as Fenerbahce tried a small lineup with Kleiza and Nemanja Bjelica around the baskets. Kleiza stepped up with back-to-back layups, but free throws by Gordon kept Efes as close as 33-34. Efes tried to get Savanovic involved in the low post without much success due to Kleiza's physical defense. 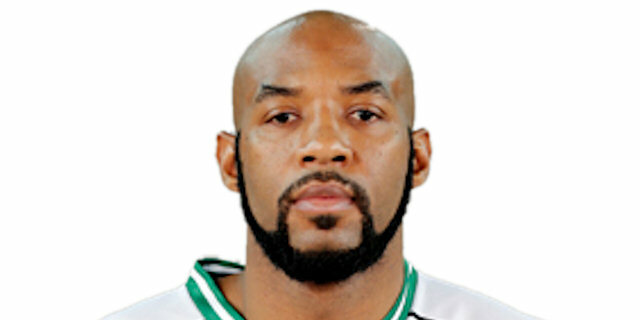 The hosts started to miss open shots, too, and free throws by McCalebb restored a 3-point Fenerbahce edge. Kleiza kept pushing the guests with a catch-and-shoot bomb from downtown, but consecutive three-pointers by Vasileiadis tied the game at 39-39. A driving basket by Bogdanovic put Fenerbahce back ahead, 39-41, at halftime. Preldzic scored in penetration right after the break, as Efes did not find the way to beat the guests' well-adjusted man-to-man defense. 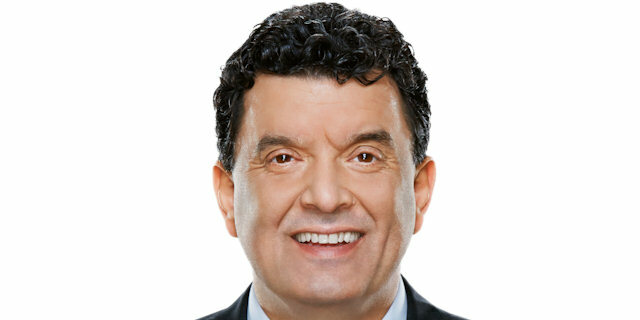 The hosts were held scoreless for more than two minutes until Vasileiadis stepped up with a driving layup. Bogdanovic did better with a three-pointer that boosted Fenerbahce's lead to 41-46. Savanovic answered from downtown before Bogdanovic nailed another triple. An acrobatic basket by Gordon kept Efes within 46-49. Fenerbahce tried a more conventional lineup with Zoric at center, but Efes was all over the place on defense, denying passing lines. Both teams went scoreless for more than three minutes, trading missed shots and turnovers until Bjelica stepped up with a fadeaway jumper. He soon added free throws as Efes regained the lead, 50-49. McCalebb rescued Fenerbahce with a layup and Mahmutoglu nailed a three-pointer, but Gordon answered from downtown for a 53-54 score. Milko Bjelica hit foul shots early in the quarter, but he didn't find much help around. Meanwhile, Kleiza took over with an off-balance three-point play and a fast break dunk by Bogdanovic boosted Fenerbahce's lead to 55-59. The guests excelled on defense right when it mattered, as Bogdanovic ignited the Fenerbahce faithful with a chase-down block on Vasileiadis. Preldzic found space for an uncontested dunk, but Planinic scored in penetration to make it 57-61 with six minutes left. A red-hot Kleiza struck from downtown and soon added free throws to make it a 9-point game with four minutes left. 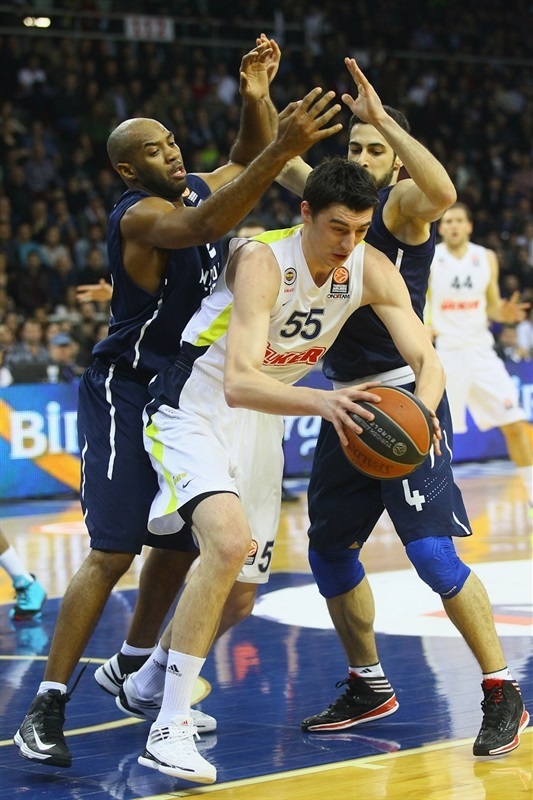 The hosts could not find the way to the basket and a dunk by Zoric sealed the outcome, 57-68. Efes kept trying, but Fenerbahce stayed close to perfect on defense, allowing just 4 points in more than eight minutes. Efes kept trying but Fenerbahce had plenty of time to celebrate a big road win. "We didn’t deserve to win the game the way we played in the last four and a half minutes. At the beginning of the game we controlled the ball really well. But we made some crucial mistakes and didn’t challenge, especially in the third quarter. But we remained in the game until the middle of the last period. We couldn’t make smart decisions both in defense and offense. Only challenging and having desire is not enough to win in this kind of tough competition. You have to have an open mind and excellent motivation to do it." "I’m happy that we won a game in which we played really bad. I’m satisfied with my players’ aggressiveness. But I cannot say the same thing for their performance. If we want to take good results in the Euroleague, we have to do better job. We will struggle in future matches if we play this way. We started the game very slowly and badly. We put no energy on the court. We let Anadolu Efes score so easily. Then we found our rhythm a little bit. I also want to thank our fans for coming and supporting us. I expect the same in the game against Olympiacos, too. The Olympiacos game is very important for us. I believe that every team in the group has its chance for the next stage. Only one team had won 7 games. The rest are close to each other." "We started the game well, but the problem is that we couldn’t rely on our game for the rest of the game. I cannot say that the only reason we lost the game is the tough defense Fener played in the last quarter. We made so many mistakes both in defense and offense. We will keep on fighting until the last moment in our group." "We started really bad and had terrible defense in the first quarter. We have to keep on fighting at the same level all game. We stuck together in the last quarter and stopped them. We have to play much better against Olympiacos to have a chance to win next week."